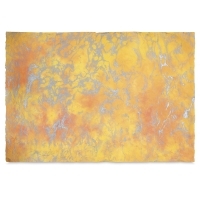 Rich swirls of opaque, transparent, and metallic colors chase across the surface of these delicate lightweight (12 lb), papers. No two sheets are alike. 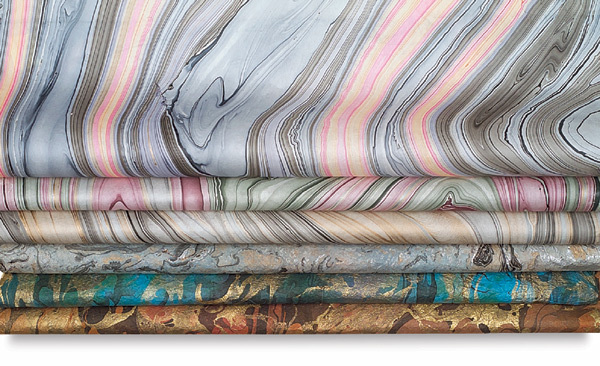 Thai Marbled — Flowing patterns created by hand form these exquisite marbled papers. 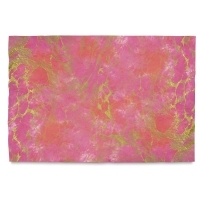 Occasional imperfections are part of the character of these hand-decorated papers and add beauty and variety. 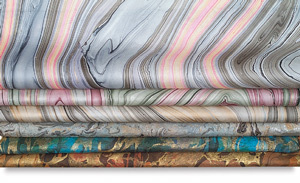 Thai Marbled Momi — This beautiful textured Momi Paper is hand-marbled with stunning color combinations. 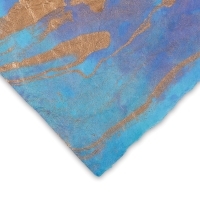 Like any hand-crafted or handmade paper, it is truly a piece of art, and perfect for use in any paper project requiring an elegant, textured look. 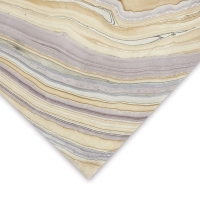 Use it for collage, notecards, wedding invitations, book arts, book binding, and more. 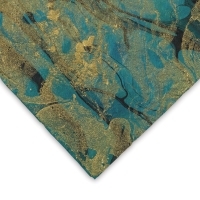 Choose from a selection of beautiful color combinations with accents of gold, silver, and black.